The Hunting Lodge Winery, Restaurant, Cellar Door & Lawn Bar. Our unique 80 acre estate is located just 35mins drive from the CBD in the heart of Auckland's wine country. With a Cellar Door, Cafe, roaming gardens, event spaces and our Restaurant, as well as a fully functioning winery and bottling works, The Hunting Lodge has it all. While The Hunting Lodge building has seen its fair share of change over the years, it’s been a constant on the hosting scene, privy to many a yarn and special occasion. 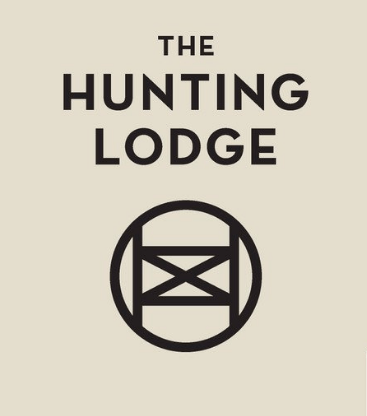 As a family hunting escape through to fine dining restaurant, The Hunting Lodge perhaps came to popular fame in the late 80’s and 90’s, where the long lunch turned into longer dinners and the helipad got a serious work out! In 2011, it was then converted into the Matua Wines Cellar Door (under Treasury Wine Estate). Since 2016, the latest chapter in this story features the Sutton family who have had a long history with the land after sharing many years here with the original vineyard owners, the Margan and Spence families. It was the Sutton’s vision for the homestead to return to its culinary past once more, working with award winning Executive Chef Des Harris to create a fresh dining experience that intends to have you feeling at ease, and made to be best enjoyed with good company. Our philosophy is inspired by the seasons where the wine and food experience evolves throughout the year. With ambitions for a genuine pasture-to-plate approach, producing what we can onsite and sourcing local produce to round out our offering, we look to add extra bursts of flavour and colour to our plates by using the best ingredients when nature intends. Make the most of our newly refurbished Cellar Door & Lawn Bar, spend downtime with friends and family on the lawn, while the little ones play in our new kid’s zone, enjoying Twister, Jenga and more games. There’s plenty to keep them entertained for hours (great for those who want to play at being ‘big kids’ too). We have a new menu, curated by Des Harris and his team, which includes Platters, Pizzas, Hot dogs, BBQ rolls, Ribs, loaded fries and salads picked daily from our gardens. Finish off your meal with one of Vix’s mouth-watering desserts such as Vanilla Cr?me Brulee, baked cheesecake with berry compote or wood fired S’mores.Enjoy a platter or two while you sample through our seasonal wine and Liberty beer (10 beer taps to choose from). Too hard to choose? Take advantage of one of four Tasting Boards - whether you like light or dark beer or want to try some of The Hunting Lodge favourites, we have something for all beer and wine lovers. If you prefer a non-alcoholic option, we have a board just for you including tasters of Mama’s Brew Kombucha and botanically infused sparkling water. Grab a picnic blanket and basket from the table, and enjoy some down time with friends on the lawn, alongside the vines in the Kids Zone or get cozy inside the vibey Cafe space itself. So whether you choose to play petanque in the Family Zone surrounded by the olive grove and kids play area, or find a romantic spot amongst the vines, this vineyard garden is all about truly delicious wine and food that can be enjoyed in a backdrop that makes memories of any occasion.